Forever Samford is a $300 million capital campaign for Samford's future. Here, dedicated faculty, staff and students join to create a community of learning and faith like no other. The beauty of Samford’s campus is virtually matchless, but it pales in comparison to the quality of our people. From the classrooms and laboratories to the artistic stages and athletic venues, the minds and souls of Samford people make the real difference. Samford people bring the best. They are demanding and compassionate; they know the importance of engaging the world with a faith that calls them to serve. I often say that we drink from cisterns we did not dig and sit in the shade of trees we did not plant. Forever Samford is our opportunity to be water and shade for current and future generations of students, alumni, and employees, and for the local and global communities we serve. Forever Samford is a six-year, $300-million-dollar capital campaign. It is the largest undertaking of its kind in Samford’s 175-year history. This booklet will tell you more about what we hope to accomplish, and why your investment is critical to our success. Centered on the certainty of Christ, Samford is a place of hope for inspired servant leaders. Please join me in ensuring that Samford continues to prepare and send dedicated, thoughtful, ethical people out into a world that so desperately needs them. The renovations addressed the developing needs of students and faculty, and made possible the most significant physical reorganization of Howard College of Arts and Sciences since it moved to this campus from Birmingham’s East Lake community in 1957. 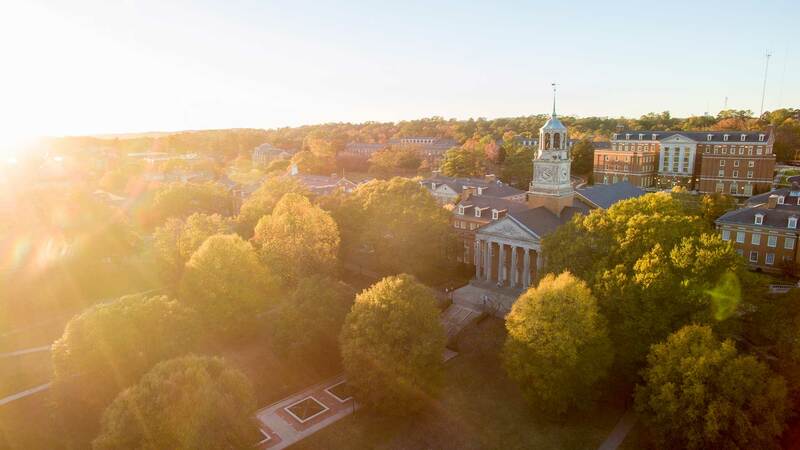 Samford University has reached and surpassed the halfway point in its $300 million Forever Samford campaign, by far the most ambitious fund-raising effort in the university’s history.